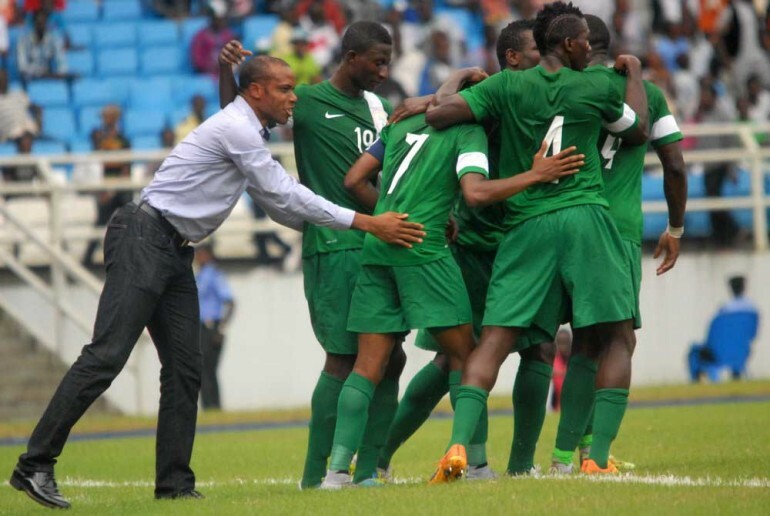 Nigeria senior national team defeated Niger Republic 2-0 in an international friendly played at the Adokiye Amiesimaka Stadium, Port Harcourt on Tuesday . Goals from Ahmed Musa and substitute Moses Simon were enough for the Super Eagles to hand new coach Sunday Oliseh his first victory in charge of the team. The Super Eagles had the first attempt of the game in the second minute but Musa’s effort was blocked by Utmanu Ganiyu after the CSKA Moscow man’s blistering run into the Nigerien backline. Eventually, Musa put Nigeria ahead from the penalty spot in the 12th minute as Anthony Ujah was brought down in the Nigerien penalty area by Issiakou Koudize after the striker had twisted past his marker following a set up by Rabiu Ibrahim. Goalkeeper Daouda Kassali got a finger to Musa’s kick from the penalty spot but it was not strong enough to stop the shot from sailing into net. Sylvester Igbonu nearly doubled his side’s lead with a dangerous shot that saw the Niger goalkeeper pull off a sublime save to keep his side in the game, though the Eagles got a corner kick as consolation. Three minutes into the second half, Nigeria won a free kick after Igbonu got clattered into by Saimaila on the right flank. Rabiu Ibrahim’s nicely floated cross into the Mena box got to the head of Omeruo but the header went wide of the goal. Substitute Simon effectively put the match to bed with less than five minutes to the end. The winger got on to the end of a badly cleared ball by defender Kafi Dan Kwae and in between two tacklers shot straight to the top of the goal past Kassali to increase the Eagles lead.